JNK Llama Farm does not breed specifically for fine fiber. Our focus is on disposition, athletics and conformation. We do get nice fiber on our animals and will at times sell some of our premium fleeces. Many of our llama breeder friends do focus on breeding for fine fleeces and we sell their fleeces for them. One friend has some of the top winning fleeces in the country (pictured above). Niki is an ALSA and ILR fleece judge. She is also on the ILR-SD Fleece Committee. 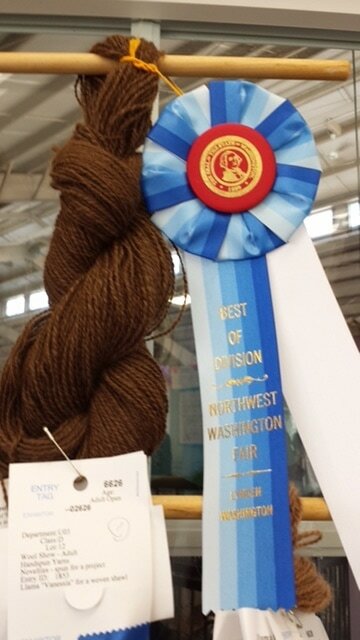 She currently sits on the committee for Fiber Fusion NW which is a major fiber event in the NW area! In addition to llama fiber, she judges alpaca fleeces and sheep fleeces. Niki is an avid spinner and knitter, so much of her interest in fiber is based on knowing of what a fine fleece can be made into. 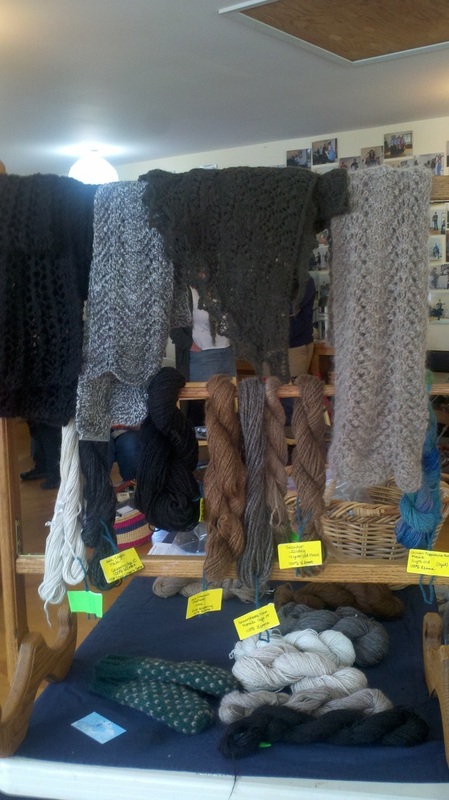 Niki has won numerous competitions with her handspun yarn. Our raw fleeces are skirted and usually already washed. Most can be spun right out of the bag. Niki can also recommend projects they would work best for and suggest blends for them too if desired. We carry yarn, raw fleece and art roving. Most of our roving has blends of silk, Firestar, Angelina, bamboo, etc.. Our roving is some of the most exotic and unique fiber you will ever spin! We have it available in bumps and loose roving. Contact us for pricing or with questions!